Up to Two Months Free + $500 Security Deposit + up to $1,000 in Move-In Bonus**On selected rental terms and suites only for a limited time. 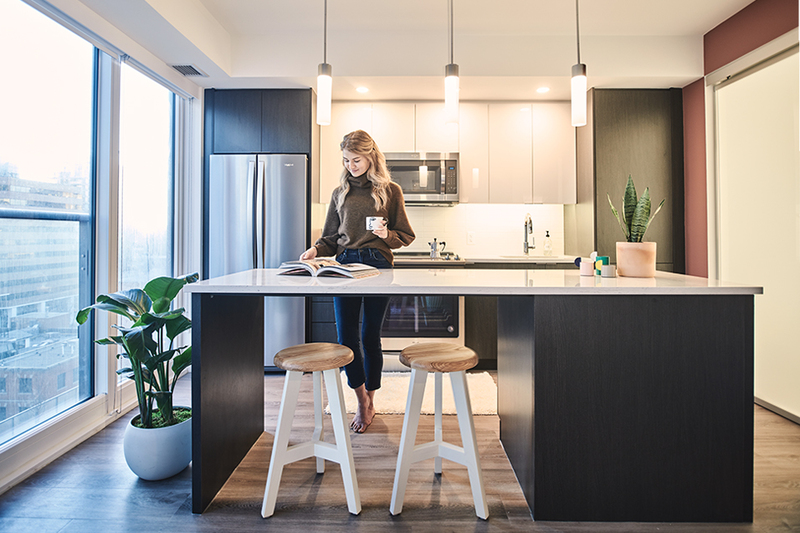 Terms and conditions apply.---Discover stylish urban living south of downtown at SODO. Our 1 & 2-bedroom rental apartments offer a living experience that's been carefully designed inside and out. Continuous brick façades lead you to discover over 38,000 square feet of unprecedented indoor and outdoor amenity spaces including a lounge, chef's kitchen with commercial grade appliances, games room, state-of the art fitness centre with spa-like change rooms & steam showers and extensive outdoor greenspace – unlike anything else currently found in Calgary. Our parkade is assigned & heated.SODO is professionally managed by QuadReal Residential Properties LP. * Photos are not of exact suite available or indicative of product quality and finishing. Prices and availability are subject to change. Please inquire for up to date information.